Want to Ride in a Self-Driving Car? This Is What It's Like. Waymo wants you to understand what its cars are seeing while on the road. Waymo, Alphabet’s self-driving car division, has released a new video that aims to show people everything a self-driving car “sees” while on the road. 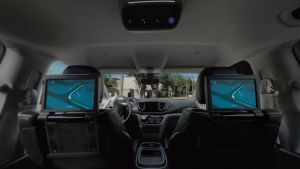 Titled the “Waymo 360° experience,” the video uses footage and real time data from a Chrysler Pacifica’s trip around Phoenix, Arizona to show viewers the information a Waymo self-driving car gather using LiDAR, radar, and cameras. As the title of the video implies, viewers can rotate their perspective 360 degrees to look around as the video plays. It can be viewed on desktop computers, mobile devices, and in virtual reality. For many people, the video will be their first experience as a passenger in a self-driving car. Of course, it’s not exactly the same, but it’ll have to do until Waymo’s ride-sharing service launches later this year. In a post published to Medium, Waymo explains that the 360 degree video is meant to help people understand the self-driving car experience and to make them feel more comfortable about relinquishing control of the steering wheel; the company’s “Let’s Talk Self-Driving Cars” post and educational campaign in 2017 were both meant to do the same. Research published in January revealed quite a few people are still uncomfortable with self-driving cars, with baby boomers more against the idea than gen-xers and millennials. 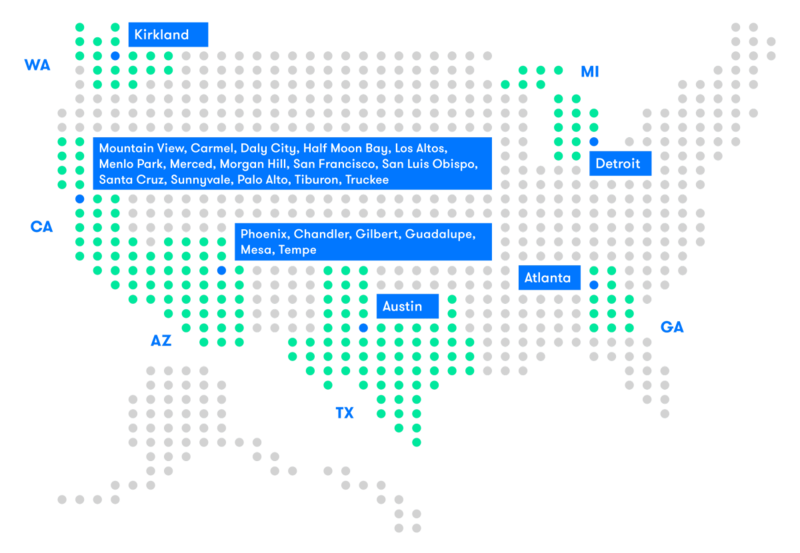 As of February, Waymo’s self-driving car fleet has driven 5 million miles across 25 U.S. cities. The fleet has been through various terrains and weather conditions, including the snowy streets of Michigan, the steep hills of San Francisco, and the desert conditions of Greater Phoenix. In virtual simulations last year, their fleet traveled 2.7 billion miles. Unsurprisingly, it’s in Waymo’s best interest to convince people autonomous cars are completely safe and can benefit society. Companies like Apple, Tesla, and Uber will all have to do the same if they want their own autonomous cars to take off without issue. It will only be a matter of time before people embrace self-driving cars, whether because of certain incentives, or because their ubiquity makes it inevitable. Former General Motors VP Bob Lutz seems to believe the latter, and that the age of traditional cars is coming to an end.